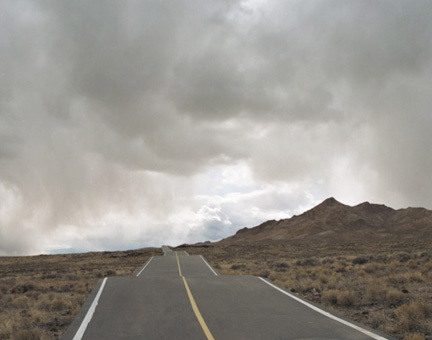 For their series, The Great Unreal, Swiss Artists Taiyo Onorato and Nico Krebs intertwine reality and fabrication to create carefully constructed photographs that offer a contemporary view interpretation of a longstanding photographic tradition, the American road trip. 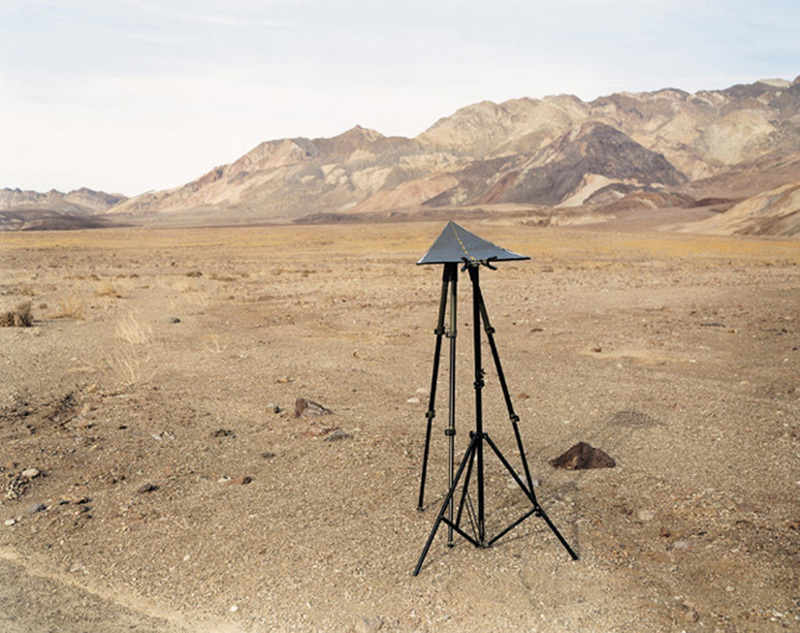 Using a cultural narrative that the United States is perhaps best known for—the American West as a wild frontier—Onorato and Krebs probe this element of American identity by recording their own journey across the nation. 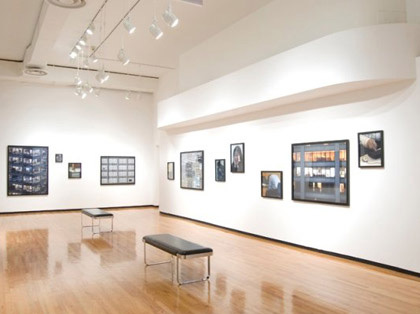 Their pictures of unpeopled landscapes reflect the artists’ highly interpreted and personal experience of place, which is actively shaped through their use of staging and manipulation. Merging past and present, the two artists use the interplay of their distant impressions as foreigners to reinterpret American archetypes. In several photographs, articles of Americana appear in unusual or lighthearted configurations, such as in the image Pommes Frites, which portrays French fries growing like grass on a ridge of the Grand Canyon. A number of photographs, including Red Glow, contain discoloration produced by placing filters in front of the camera as the image was captured or by shining light through the backside of prints and then re-photographing them. These aberrations and manipulations break with the work of preceding artists, such as Robert Frank, who, also as a foreigner, used the photographic road trip to document American culture in the late 1950s. As Onoroto and Krebs look out onto American landscape and culture, they create a narrative about their experience that reveals subjectivity as it ponders and parodies cultural cliché. 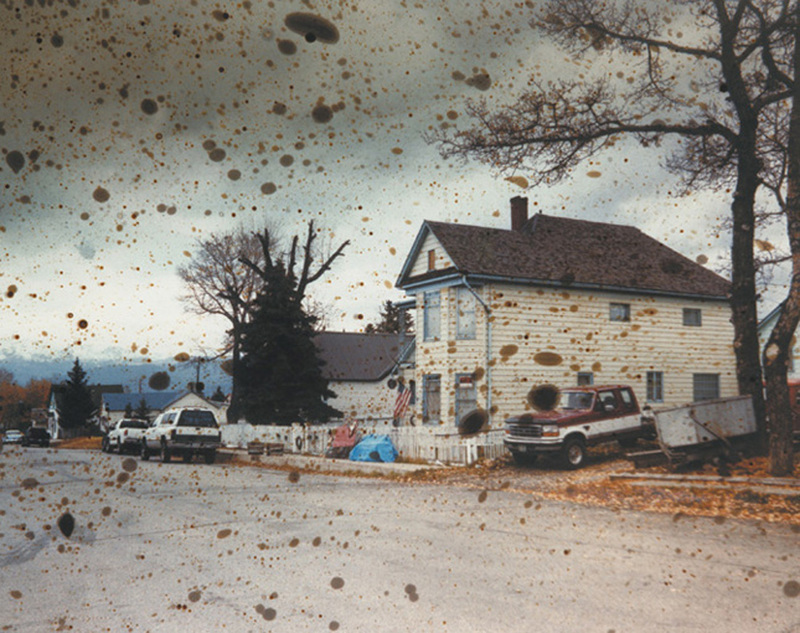 Taiyo Onorato and Nico Krebs met during their studies at the Zurich University of the Arts and have been working together since 2003. They have been widely exhibited internationally, including solo shows in Zurich, Amsterdam, Berlin, Moscow, Florence, Barcelona, Melbourne, Copenhagen, and New York. They have self-published two books, As Long As It Photographs / It Must Be A Camera (2011) and The Great Unreal (2009). Their work is held in the collections of CNAP in Paris, the Grand Duke Jean Museum of Modern Art in Luxembourg, the Fotografisk Center and the National Museum of Photography in Copenhagen, Denmark.